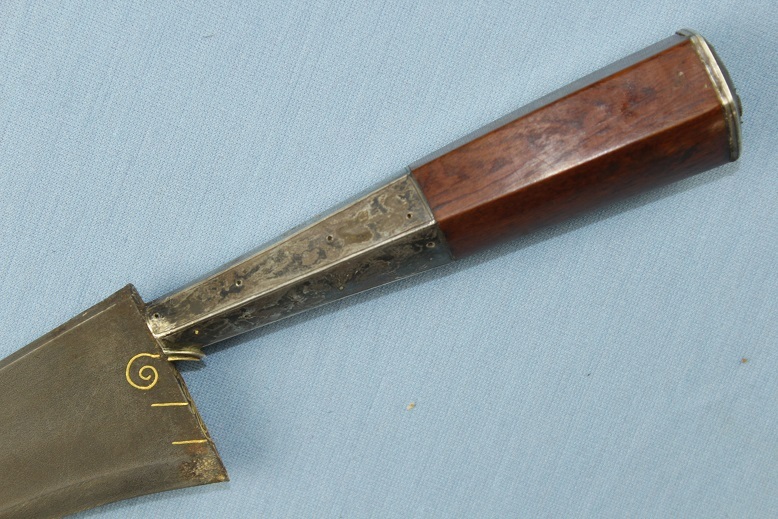 A fine and rare silver mounted Javanese Wedung. 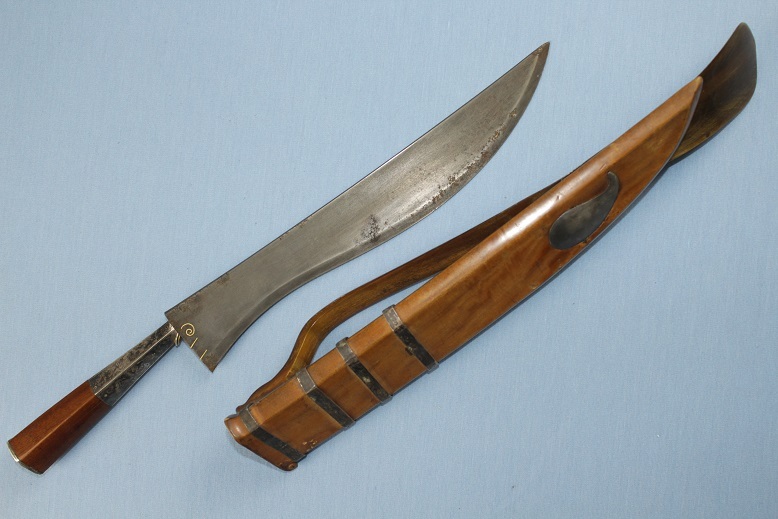 This rare knife measures 42.5cms long in its sheath. 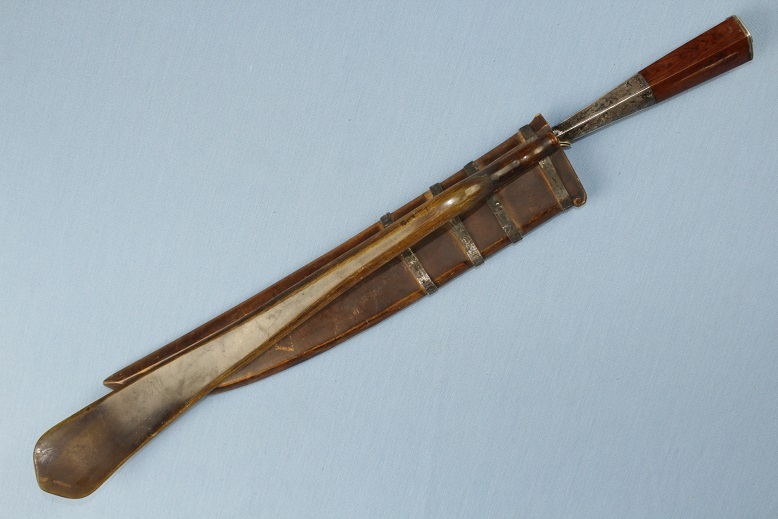 With the horn belt clip, it is 48cms long. 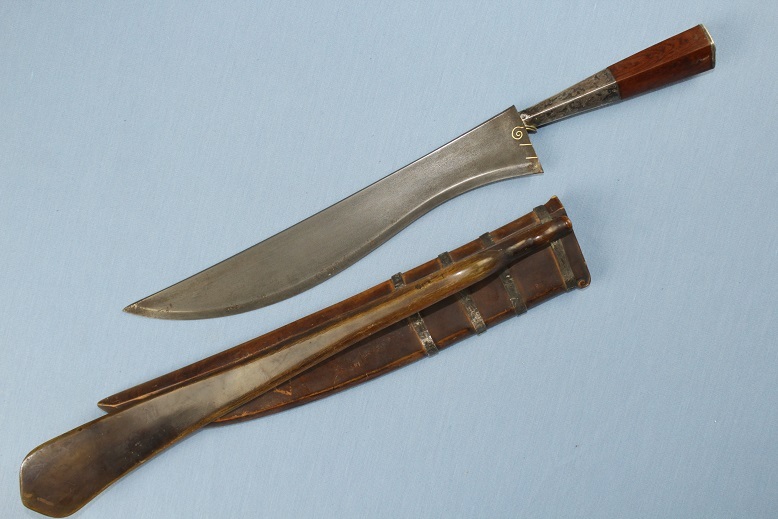 Out of the sheath, the Wedung measures 38.5cms long and has a blade length of 26.5cms long. The pentagonal shaped hilt is carved from a very fine dark rich grained timber and dressed in silver. Within these silver fittings are the remains of several gold pins and patterns within the patination that indicates the silver was once dressed in gold highlights as gold remains within the metalwork. 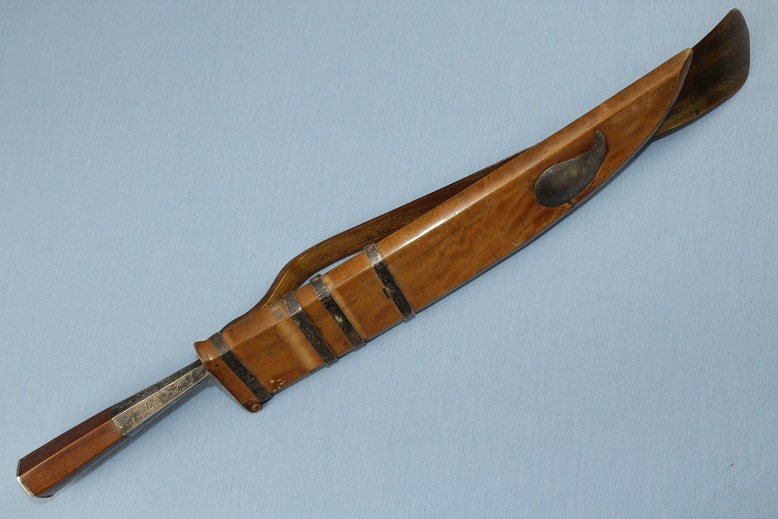 The blade is of typical form with its spine peaked from end to end. 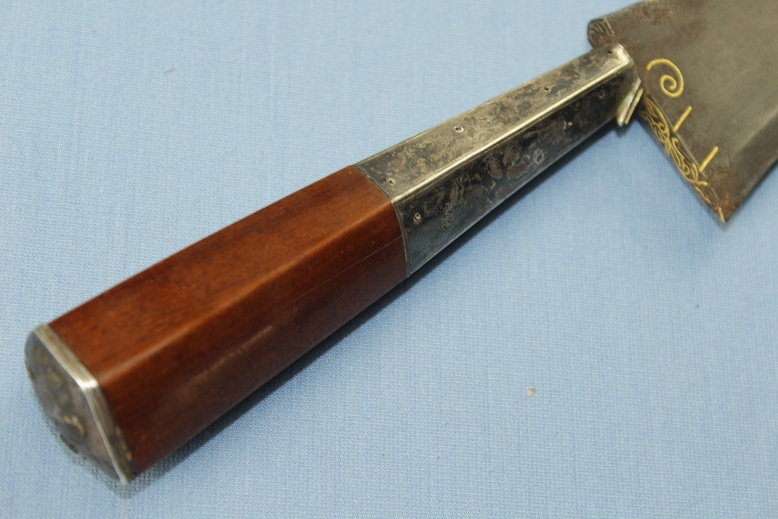 It has abroad bevelled cutting edge and a "spur" to the base where is meets the silver collar of the hilt. This spur is covered in engraved gold work. Deep inlaid gold designs are also found to the base of the blade on each face and the edge of the base is inlaid with a fine gold floral motif. 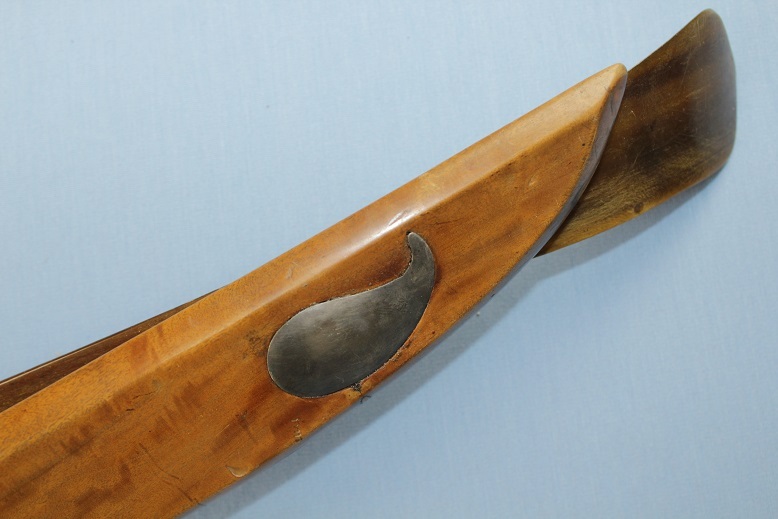 The finely carved timber sheath show lovely scroll work to the throat, mimicking the design of gold inlay to the blade. 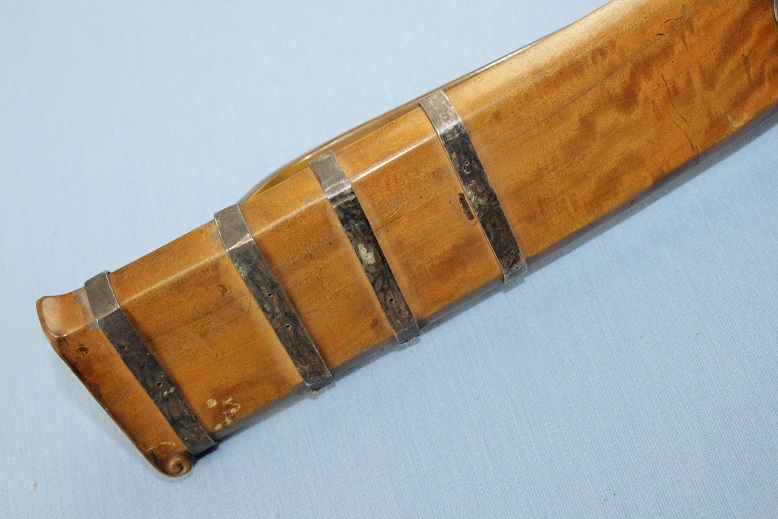 The sheath is also bound in silver, silver that again shows clear evidence that gold accents were once pinned to its surfaces. 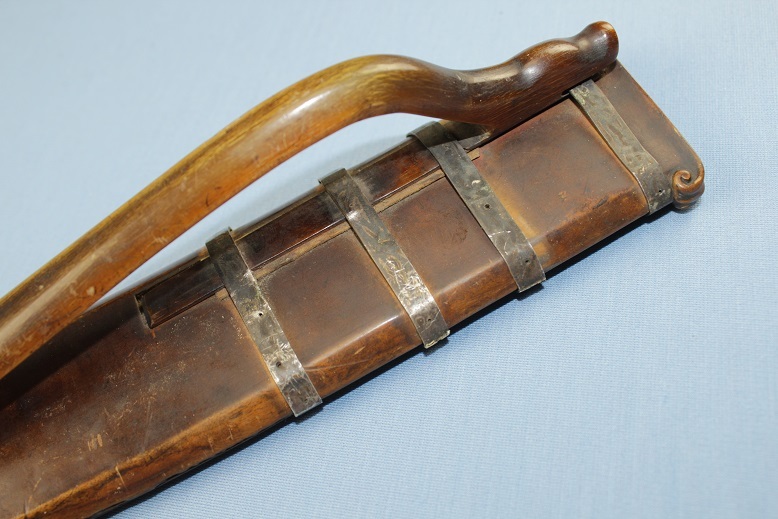 The long carved horn belt hook is complete, free from cracks, loss or damage. It shows a carved mythical creature's face to the throat and a long wide sweeping end. 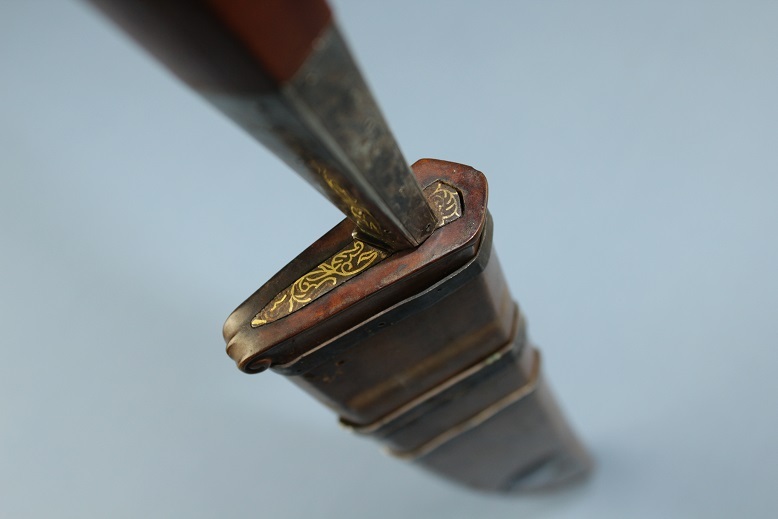 A very rare knife with some very interesting and high end aspects that are seldom seen, a knife that remains in very good condition throughout.